Our Gold Coast removalists can get you and your belongings to and from anywhere within the city. We cover all the towns, localities and suburbs for a door to door service. It is our foundation of knowledge & experience that gives us the ability to satisfy every clients requirements from start to finish, whether it is furniture removals, vehicle transport, your delicate piano or back-loading removals. A decision to move to the Gold Coast is without a doubt a marvelous one; the sun, sand and glorious beaches will have you staying longer than you expected. With networks stretched all over Australia, we provide local, long distant and interstate moves catering to your every need. We have state of the art trucks and vans that safely get your belongings to your new home or office address. An estimate or price quotation for your Gold Coast Removal service will be provided to you by the Gold Coast Removalists. Simply visit our website for further details to get you ready, set and go for your Gold Coast Removal. In case you have no idea how to go about selecting a moving company to help you with your removal, here are some guidelines that should get you started. Start off by researching at least three moving companies. Read online reviews by past customers and ask around town about the nature of the companies. Narrow down your search and finally select a moving company that caters to all your needs and nicely fits your budget. Then go ahead and start packing. Ask for strong packing boxes and wrapping materials from the removers. Create a list of all items you intend to move with and hand a copy to the removers. This will assist them in identifying all items including those fragile items you want handled with a bit more care. For the items you will not be moving with, donate them to charity, leave them behind for your friends and loved ones to enjoy or have a yard sale and make yourself some extra money that could help you in settling your moving bill. Moving to the Gold Coast can be an easy task if you get the right people for the job. 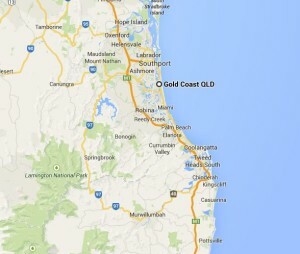 Contact our Gold Coast Removalists today for a hassle free move.